Have you considered using webinars to sell your online products and services? They are gaining huge popularity as a marketing and training tool for businesses, and it is a trend that is on the increase. The selling point of webinars is that you can communicate visually with people anywhere in the world without being there! As every business owner knows, the primary objective required is your ability to reach clients. No matter how good your product is, your business is in trouble without exposure. With the emergence of the internet, it has created a global marketplace for large and small businesses alike. Using webinars has completely changed how a business communicates. It has cut down travel costs as well as saving time which is crucial in any business. 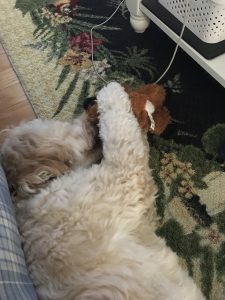 All you have to do is turn on your computer and do your presentation in the comfort of your own office. These are the main areas in which your business can benefit through the use of webinars. Driving with John Chow – How Soon Before I Make Money Online? In these amazing times of websites, blogs, and social networks, the ways by which new customers are drawn to a business are vastly different from the way they were even five years ago! With so many entrepreneurs competing with you for business, what can you do to make your brand stand out among the others? From a distance, one company’s widget looks an awful lot like another’s. So what is the thing that will turn people’s heads and draw them to your storefront? It often comes down to the story… the story behind your brand! A brand story can be a very important branding tool, if you know how to use it to your advantage. Your brand story is not an over-hyped branding word, but a means of focusing your communication around a central theme and creating consistent brand messages. It simply serves as a means of telling people about your business: How it all started, what inspired you to set it up, challenges you faced, etc. Brand stories create excellent relationships between customers and the business. 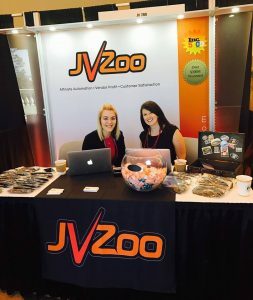 JVZoo had an amazing time at the Traffic & Conversion Summit this year. It was both an honor and a privilege to be a part of such an exceptional gathering of marketing geniuses. Not only did we enjoy great company, but we couldn’t have asked for more beautiful weather or a more pleasurable atmosphere. The T&C staff was extremely helpful with the planning and preparation process. Their hospitality throughout the event was spectacular! We would like to give a HUGE shoutout to Anna, Jessica, and Kevin for coordinating and designing our booth. They did a great job and were able to speak to many wonderful attendees of the highest caliber! Add Twitter Followers More Twitter Followers Quick!